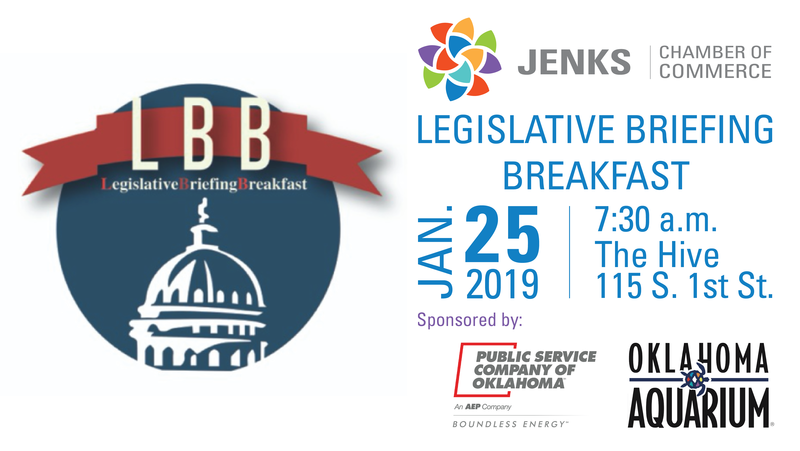 The Jenks Chamber of Commerce is hosting the first Legislative Briefing Breakfast of the year on Friday, Jan. 25. The breakfasts, beginning at 7:30 a.m., are held at the Jenks Chamber office at The Hive, 115 S. First St. They run through the legislative session in May. The breakfasts allow attendees to stay current on happenings at the State Capitol that affect our community and businesses. They also provide an opportunity to develop relationships with local lawmakers. Join us to hear from local officials in a casual setting. The event is free for Chamber members and no RSVP is required.